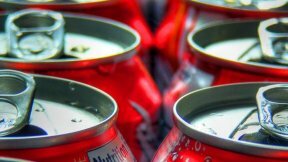 But advocates also cautioned that taxing sugary drinks should not be considered a stand-alone solution to the costly epidemic of chronic disease. “This is a significant opportunity to attack chronic disease at its root,” said Elissa Bassler, CEO of the Illinois Public Health Institute. “The Illinois budget has both short- and long-term problems. Obesity costs the Illinois healthcare system more than $6 billion a year, including more than $1 billion in Medicaid. If we want to make permanent gains in both our fiscal and physical health, the legislature and governor should direct a portion of the revenues from the drink tax to a wellness fund for community prevention initiatives that help inoculate the state against rising health care costs.” Originally championed by Sen. Mattie Hunter (D- 3rd District) and Rep. Robyn Gabel (D- 18th District) and supported by the Illinois Alliance to Prevent Obesity, the sugary drink tax is part of the Healthy Eating Active Living (HEAL) proposal to raise funds for community prevention and help the budget by funding Medicaid. “We’re happy to see that key decision makers are recognizing that ideas in the HEAL proposal have merit. We urge members to look at the comprehensive HEAL proposal that addresses the state’s budget challenges while investing in low-income communities where people are literally dying for better access to healthy food, safe places to be physically active, better school health resources and other supports for a healthy, active and disease-free life,” said Apostle Carl White Jr., Southland Economic Center, Victory Christian Church.